One thing I’ve always wanted to do is make my own bird food. I know that’s kind of a strange goal to have, but I really enjoy watching birds and I find it interesting figuring out what seeds attract certain types of birds. (Check out this post for what you need to know about feeding birds.) 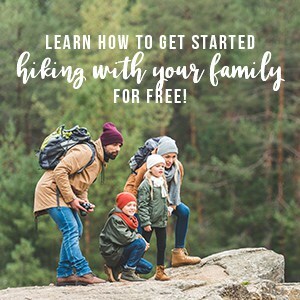 One thing I was a little intimidated by was the idea of suet – I was familiar with how important it is to a bird’s diet, but I wasn’t sure exactly how to make it or even where it came from. So, one day, I decided to remove the mystery and what surprised me the most was not only how simple and straightforward bird suet is to make, but how affordable it is. This is definitely going to become a staple around here for feeding the birds. Do birds really eat animal fat? Yes! Most birds need fat – especially in fall and winter – so suet is integral to their diet and can help them thrive. You can feed birds suet through a cage feeder, by placing it on tree branches or putting chunks of it on seed feeders or plates. Where can I get suet? Since suet is basically animal fat, you may be more familiar with it when it’s called “lard.” Lard is suet (this blew my mind when I put two and two together). And you can purchase lard at your local grocery store (in the meat section) or through a butcher. If you have the opportunity to purchase it through a butcher, take advantage of that because the lard is much more likely to be locally sourced (important for the birds since they eat local!) and more fresh than something that’s been sitting on the store shelf. Alright, let’s get on to the homemade bird suet recipe! 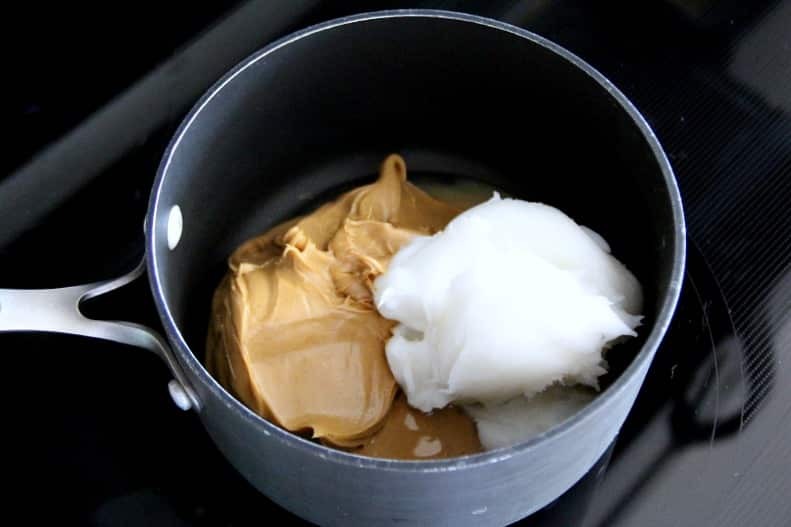 Melt the peanut butter and lard over medium-high heat. Stir to combine (you may need to break out a whisk). With the peanut butter and lard combined, add in all the dry ingredients. For this picture I added in a little bit at once, but I would recommend doing one at a time and thoroughly mixing after each addition. Save the bird seed for last because it will really thicken up the mixture. Once you’ve mixed all the ingredients together, pour the mixture into a container of your choice. I used an 11 x 7 casserole dish. Place the container in the freezer for 1 hour, then transfer to the fridge. After the hour of freezer time, the suet mixture should be pretty well set. I left mine in the fridge for an additional hour before I cut into it. At this point, you have to decide how you’ll serve the birds their suet. As I mentioned before, one of the most common ways is a suspended wire cage – you insert the suet cake into the cage and the birds can hang on it and eat. I don’t have a wire cage, though, so instead I decided to wedge pieces on the branches of a tree and put some in our yard feeders. This recipe will last you quite awhile. Store the leftovers in the fridge until you need to replenish what you’ve placed outside. One of the best things about making your own suet is experimenting, so feel free to try other combinations. A good rule of thumb is to keep the lard and peanut butter the same as your fat base (but feel free to try other nut butters) and switch up the mix-ins. Then, take note of what suet combinations attract which birds. You might be surprised what you can bring into your yard just by offering different seed and fruit mixtures. Have fun with it! 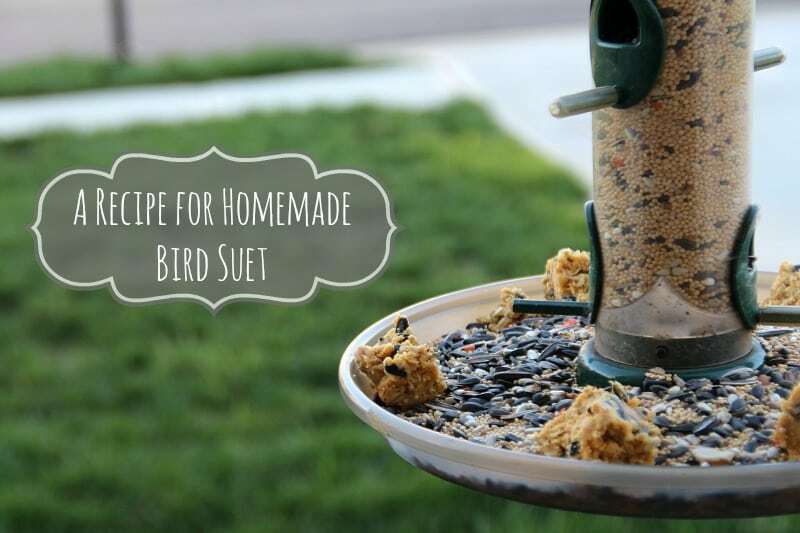 If you have a tried and true suet recipe, please share! This is such a cool idea! I used to hang a bird feeder at my parents’ house when I was still living there. It was amazing how many new birds would come to eat. I might have to try this in my yard. Thanks for sharing! Let me know how things turn out if you end up giving it a try! Have fun! This is a perfect recipe to do with kids! Hope you see an increase in birds! I can say that after a couple days of having it out, we saw a ton more wild birds – cardinals especially. Seems like a fun activity my boys would enjoy. Thanks for sharing! I’ve been wanting a good recipe to make my own suet. Thanks for sharing at the Thursday Favorite Things Blog Hop! My SIL is a total bird lover, I totally need to share this with her. I am sure the birds LOVE it! My 10 y.o. son has gotten our whole family into birds. We love to feed them; he will think this is real fun to make his own suet. Pinned!